Much of Arizona’s history is tied to water and the distribution of this valuable resource. Canals were an integral part of the early infrastructure. 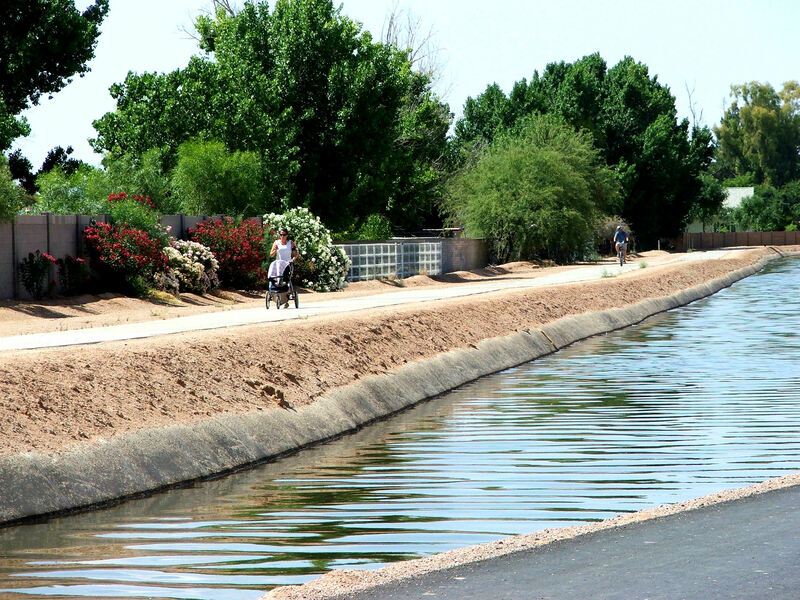 The canals in Gilbert serve as boundaries for those areas that have SRP water rights in the town. It is natural that the bike, walking and equestrian pathways would follow these natural landmarks. In Gilbert, the Western Canal Powerline /Sun Circle Trail runs east and west, connecting Big League Dreams, the Riparian Preserve, Freestone Park and the McQueen District Park in a 8.5 mile stretch. It continues west into Chandler and also Tempe. Anyone looking for a peaceful bike ride or jog will find this trail enjoyable and with much less congestion than a street sidewalk with cars racing past at 40 miles/hour. orientation through Mesa, Gilbert and Chandler. In the 1980’s the trail became popular with walkers, joggers, and bicyclists. Federal grants and city funds have transformed this dirt path into a lighted multi-use trail. 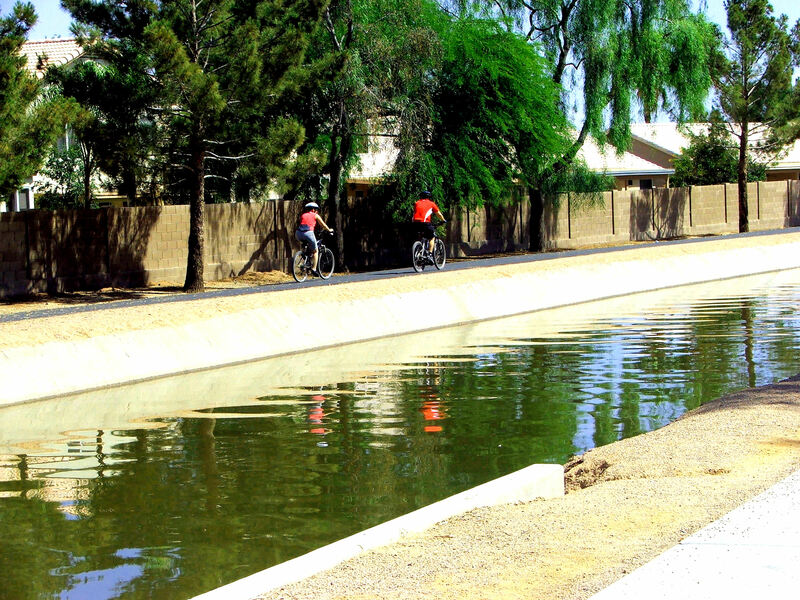 In Gilbert it’s called the Heritage Trail, but cross over into Chandler and now the multi-use trail alongside the Consolidated Canal is the Chandler Paseo Trial. This 6.5 mile trail is a 10 foot wide pathway on the eastern side of the canal. The western side is unimproved that can be used for horseback riding or bicycling. Currently the trail starts at the Tibshraeny Family Park in north Chandler which provides parking and restrooms. The trail heads south past The Springs and crosses the 202 freeway. More parking and access to the Paseo Trail is found at Tumbleweed Park and Recreation Center. It’s course continues south passing by Pinelake Estates, a popular waterfront community. The trail currently ends at Riggs Rd although future plans include a southern trailhead near Arizona Ave. and Hunt Highway. 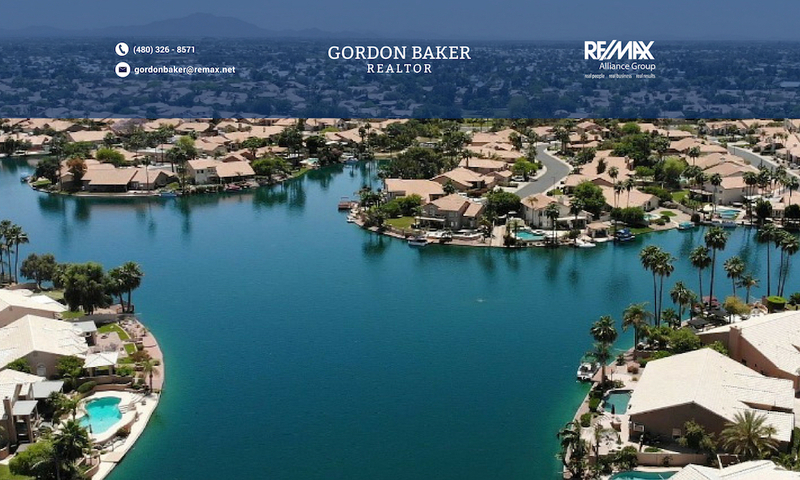 For additional information regarding homes near Gilbert and Chandler recreational trails, call Gordon Baker at 480-326-8571.